Open Technology for this World! This is our unique Open Enigma velours bag customized with your own text. Now offered in a variety of colors. 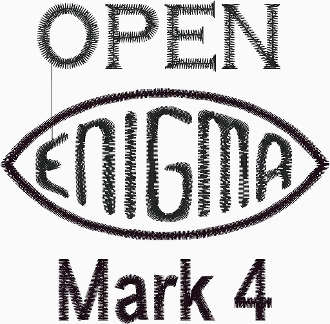 It comes complete with "Open Enigma Mark 4" enbroidered in golden thread and/or whatever text you desire. For the standard version, please pick "Enigma Velours bag". Copyright © 2019 S&T GeoTronics LLC. All rights reserved.